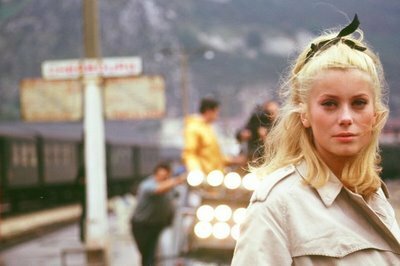 I'm such a admirer of Jacques Demy's style. And the poster's low-key cuteness certainly looks like it's going to be great. I'm sorry I'm not in London and can't catch it on stage. 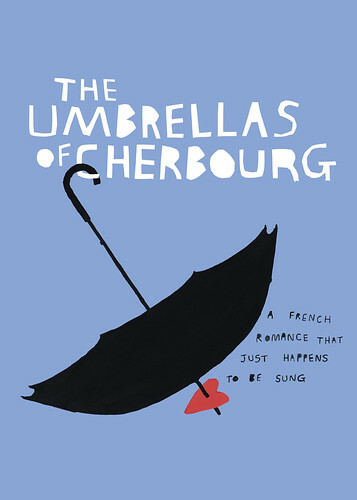 In France, musicals are a farely recents trend which often induce cheap scenes, terrible singers and tasteless rendition of the original work (if you look for videos or mp3s of the adaptation from the Demoiselles de Rochefort film, you'll see what I'm talking about). Hope Londoners will have a great time!